Sam, I just wanted to drop you a line and let you know the four of us had a very good time. Your brother Ray was excellent as he was able to keep us very busy and we caught lot’s of fish limiting out on most of them. The evening seafood dinner was second to none! Thanks and I look foreword to booking with you again. Jim Johnston, Sherwood Park AB. Sam, thanks for the incredible fishing! I’ve been fishing for thirty nine years and have never had such a great trip! It was quite a thing to see our group of twelve (three boats, three excellent skippers) all limited by 10am on Silvers and Kings two days in a row. I’ll be back! Sam, After being double-booked by another company, I really appreciate you saving our annual fishing trip. And what an amazing trip it was! We MAXED out our catch limit on the first day and only missed by one fish the second day. Seriously, the fish where on the line all day long, sometimes before we even had a chance to get the lines all the way down. Ray was great and really knows the waters off Ucluelet and the best fishing spots. My dad, uncle brother and myself have never had such a great time fishing, and we definitely want to come back again! Thanks again guys–you made our trip great and delivered more than we could have expected! Thanks, Paul Turner, Vancouver BC. Hi Sam, I have to say we all had a wonderful time… You have a jewel in Dan-the-man! He was the greatest – he did so much for us and I am very appreciative of his “going the extra mile” for us. Thanks, We’ll be in touch again. Hi Sam, Just a note to thank you for the great time fishing from Ucluelet. Fishing surpassed our expectations with 4 between 25 lbs and 30 lbs after only one day. We are still enjoying that beautiful wild west coast salmon. You should definitely recommend people to book early as fishing dates and accommodations go very quickly! Thanks for a great trip–its a trip I’ll never forget. I was just showing my mom and dad your website and was telling them about fishing with yourself at the end of June. Dave and I had a great time and we truly enjoyed the experience. Sam – I just wanted to thank you, Ray & Sim for the wonderful time our family had while fishing in Ucluelet last week! Many thanks for giving our family such a memorable fishing adventure. The fish made it home safely, though we did need to buy another cooler! Thanks for the wonderful time. We spread your name at the airport while showing off our four boxes of fish –it was great! Well I am back here in Austin and wishing I were fishing on the boat in Ucluelet. I cannot thank you and Ray enough for providing the best fishing experience in our lives and we have been on a few. I am touting you guys to everyone and one of these days someone will “bite” and you will have another satisfied customer. As my son Dallas told you at the fish depot, the guy he gave the other fish to on the dock, he told him you were the best and I hope he hired you guys. Hey Sam and Ray…I just want to say THANK YOU for the best fishing trip ever in my life…. Best regards, Lelle from Sweden. Thanks for the experience of a lifetime. Your friendliness, fishing techniques and boat handling was greatly appreciated. I will definitely be recommending you to my friends. Thanks for a great time and I plan to fish with you as often as I can! Thanks for a dream fishing trip. I’m pretty sure we had the biggest fish of the day! 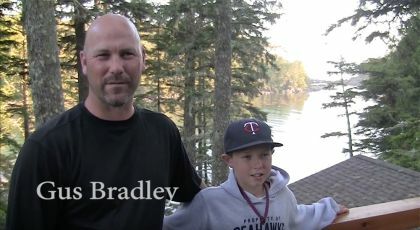 I just watched the video of our fishing trip again and it seems like yesterday. Simeon was great and really knew where to get us the big one. He’s a celebrity out there! We had a great time with him! By the way, I didn’t think seeing whales would be a big deal…but it was a big highlight. Thanks again and we will be contacting you again soon! Sam, Once again I find myself reviewing the pictures from our June trip with you guys. We had a fantastic time and hope to return soon. Thanks! Thanks for a great fishing trip! Ray was fun to be with and a very knowledgable and experienced fishing guide. He was a huge help while I was bringing in the BIG salmon. The overnight accomodations you arranged were great. When not fishing, we really enjoyed walking the Wild Pacific Trail, browsing the little shops, and sampling the restaurants. We look forward to our next fishing trip with you next summer! Thanks again. Hi Sam, just wanted to thank you and your brother Ray for the fine guided fishing expeditions we had. The boys had a blast and i know my dad had a wonderful time. We will be sure to tell everyone out here in Manitoba about you guys and if anyone is wanting to go fishing we will be sure to tell them it’s worth the trip to Ucluelet and will definitely give them your charter name. Thanks again and have a great summer. Thanks for another great fishing trip this year. We had another enjoyable trip to beautiful BC. We are always impressed with the service and fishing at Salmon Eye Fishing Charters. Sam! All is well here and we’re right in the middle of our guiding season. The hunting is going well and the clients are happy. I wanted to thank you and Ray once again for an awesome fishing trip and for getting me the big one. I’ll attach a few pics for you to use if you want. Sam!!! How have you been? To be honest, we still have some fish from our fishing trip hehe!! It’s still delicious though. I’m glad we had them vacuum packed and flash frozen. After years of fishing with other guides, fishing with you was not only the most fun, but also the most productive! Thanks for a great late September fishing trip! It was hard to believe that once we threw our lines in the fish were hooked in minutes. Thanks for helping us with getting the salmon and halibut smoked and packaged to send back to California. All our fish arrived looking great and tasting wonderful!! This was a huge day of fun for my husband and me!! Sam, This is for your testimonial page. 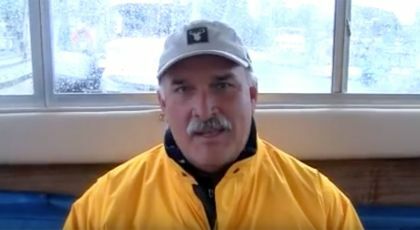 As CEO of Little Skookum Shellfish Growers, LLC, in Shelton WA, I sent our two top managers and our engineering consultant out with Salmon Eye Fishing Charters for a 2 day fishing trip in early September, 2006, as a reward for a very good efforts. We limited out each day on salmon and halibut, but seeing a large Grey Whale breach entirely out of the water out on La Perouse bank made for memories of a lifetime from the trip. Thanks to both of you for a memorable trip, the pictures of us with bent rods are on the wall of our offices. We had a really great time on our fishing trip and we are definately looking forward to our next Vancouver Island vacation to have another go at those salmon with Salmon Eye Charters. Please use the pics if they are suitable for you and have a wonderful off-season. Thank you again. Devon Werenka (Alberta) for Karl Letourneau and Jeff Banks. Coming all the way from Spain to fish in Canada is something you do only maybe once in your life. Many Europeans talking about it and I was thinking to do it for over 15 years. The first time I fished was really an experience– your guidance and service was wonderful and the catch of a 38 pound Salmon was the topping of the ice-cream - thanks for all and maybe we will make another fishing trip with what will be for sure with your Company - relaxed and only good times. Awesome video Sam. The trip my wife and I took with you was the highlight of our honeymoon. I will be back some day… sooner rather than later. Sam, Thanks to you and Dan for providing us with a great fishing trip in 2007! We’re still eating the salmon and halibut we brought home with us — I just hope we can make it last until we get back to Ucluelet! Sam! My boys & I had a fantastic outing with you last summer and can’t wait to get back out. We highly recommend you guys! Awesome video Sam. The trip my wife and I took with you was the highlight of our honeymoon. I will be back some day…sooner rather than later. I really enjoyed my fishing trip with you and would recommend the experience to anyone. You are really a professional and know your business! Thanks for a great fishing trip.. The fish has been delicious. Thanks again! We had a great time and our friends and family have enjoyed the fish. Thanks for two awesome days of fishing. Sure was relaxing. Salmon Fishing with you guys was not only a great fishing experience, it proved valuable for relationship building with clients. One of our best trips to British Columbia ever. The boys and I will remember this for the rest of our lives. Doug, Chris and Luke, Courtney, B.C. It was a pleasure meeting you and thank-you for the awesome fishing. You not only made my day, but you left me with very fond memories of my first salmon fishing experience. Thanks so much for the great fishing ventures. My guys will remember that vacation for the rest of their lives — a real dream come true. You will not find a more professional and courteous fishing guide. Thanks for a great trip. We were very impressed. Our fishing trip was great. The time we spent with you was fabulous and the gals thought you were grand! Thanks again for a memorable time and we would definitely like to come back again to British Columbia!